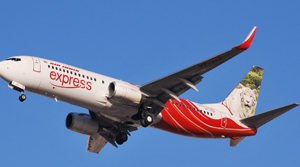 Mangaluru, Feb 28, 2017: An Air India (AI) flight from Mumbai to Kochi made an emergency landing at the Mangaluru International Airport on Monday following a technical snag. AI 681, with 58 persons, including crew on board, landed at the airport safely at 6.36 p.m., according to J.T. Radhakrishna, airport director. According to the airlines authorities, hydraulic pressure was low and hence, emergency landing was required. Passengers were later taken to hotels. The news is correct. I was one of the passengers. However the last statement is incorrect. All passengers were stranded at airport only and were not taken to hotel. We were accomodated in a separate aircraft and taken to Kochi at 0200 hrs on 28 Feb 17.